Thanks to our fast and reliable 3D printing service, improve your machine tool conception cycle. Industries 3D print several kinds of parts: concept models, impossible objects, and even finished parts. With rapid prototyping, you can shorten your prototyping time from a few months down to a few days. Additive manufacturing does not only shorten your product development time but it will also improve the accuracy of your final prototype thanks to a better management of your different versions. Our Selective Laser Sintering plastic material is both strong and slightly flexible. 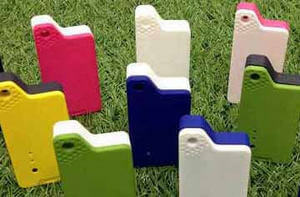 It is the perfect material for prototyping and product development in general. We offer it in a wide range of dyed colors and in white or grey solid plastic and our lead time can be as low as 2-3 days. 3D printing can virtually produce any part you can imagine as long as the design guidelines are respected, which is not the case with traditional manufacturing technologies such as injection molding. This allows you to create lighter and stronger parts that could not be produced by any other production method. Complex geometries are now fully accessible. You can easily use our service to produce a large number of parts thanks to our online batch control tool which allows you to fully control the production of your part and save money at the same time. Design parts that will let you easily assemble your product and speed up your production by reducing the handling costs. You can even design interlocking parts that have this specific purpose. One crucial part is broken on your machine tool? Instead of changing the whole machine, you can just design the 3D file or find it among the multiple designs available in technical 3D libraries. Upload your design and choose the right material for you depending on your use of the part and the mechanical properties required for it. Use our resin to design translucent or transparent parts. If the part often breaks, take advantage of 3D-printing to prevent it from breaking. Re-thinking and re-engineering the part can help you improve its resistance over time or to specific constraints. Use the batch control to get a small series of parts to replace all the obsolete ones on your machines. We're working with a range of full-color or monochromatic high-grade industrial 3D printers that offer excellent accuracy (layer thickness from 25 to 150 microns). 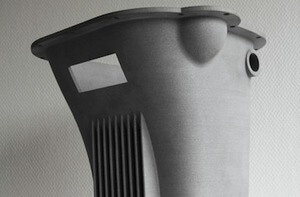 Anyone can use the additive manufacturing technology with Sculpteo. There's no minimum order, we 3D print your model starting at 1 copy. If you are not in a hurry, we can offer you a cheaper price. We can prepare your 3D file on-request and take charge of the finishing steps (painting, display case...) if you need parts that are not just made of raw materials. Sculpteo and his 3D printing service allowed me to create prototypes to validate mechanical concepts for my project. Have you ever waited 20 minutes to get a tasteless cocktail? Well, Barmate the cocktail machine developed by BlendBow, partners with bartenders to overcome this unpleasant customer experience. After 3 years of conceptualization and prototyping with 3D printing technology provide by Sculpteo, Barmate is finally ready for public use. Keep reading as we tell you more about this out-of-ordinary project. openQCM is a scientific device based on the quartz crystal microbalance technology, capable of measuring phenomena at a molecular scale. In order to 3D Print, you need to send us a 3D file that you can easily design with a 3D modeling software (or CAD Software) or using a 3D scanner. For beginners, we suggest a list of free software and offer free tutorials. Tip: Metal 3D printing and plastic 3D printing are the most used for industrial goods. We deliver your order at the place of your choice so you can make unique prototypes! Items are usually shipped 48h after your order, after quality control. Looking for some advice on finishing? Have a look at our tutorials about painting and finishing. Your ending parts and your prototypes can be printed in more than 75 materials and finishes. They include our selective laser sintering plastic material with multiple polishing options and colors, our nylon reinforced with carbon fiber, our resin and a transparent resin, our multicolor material and different 3D printing metal options like sterling silver and binder jetting stainless steel. Among our plastic 3D printers, we also offer the HP Jet Fusion 3D printing technology. It creates parts with great mechanical properties and it became a must in the world of 3D printing companies, just like Selective Laser Sintering. The number of materials developed for this technology will also increase in the next few years. Through a vibrant community, our support and all the resources we produce, we are here to give the best advice to use the latest 3D Printing technologies and save your time. Our blog highlights many case studies, the latest news of the 3D printing industry, and provides deep industry-specific analyses which will help you enrich your business models. We also share tips on how to use additive manufacturing technologies, such as selective laser sintering, HP Multi Jet Fusion, and even metal powder based technologies. We guide you in your design and manufacturing process.